In his homily for Palm Sunday, His Humbleness once again succumbed to the temptation to use the occasion to insult faithful Catholics – i.e., those who oppose his program of destruction, both lay and ordained – under the guise of preaching on holy things. Either he has deluded himself into believing that we’re not smart enough to recognize his act, or being so enamored with himself that he simply doesn’t care. All this joy and praise is a source of unease, scandal and upset for those who consider themselves righteous and “faithful” to the law and its ritual precepts. A joy unbearable for those hardened against pain, suffering and misery. Many of these think to themselves: “Such ill-mannered people!” A joy intolerable for those who have forgotten the many chances they themselves had been given. How hard it is for the comfortable and the self-righteous to understand the joy and the celebration of God’s mercy! How hard it is for those who trust only in themselves, and look down on others, to share in this joy. Those who believe that Francis was speaking of the Pharisees described in the Gospel reading are either naïve or ignorant or both. You see, in the Bergoglian world, “the law” and the “precepts” of the self-righteous isn’t that of the Old Covenant and the Sanhedrin, it’s the Divine Law as expressed in the doctrines and pastoral practices of the Holy Catholic Church, and the faithful who defend them. How do we know that this is the case? 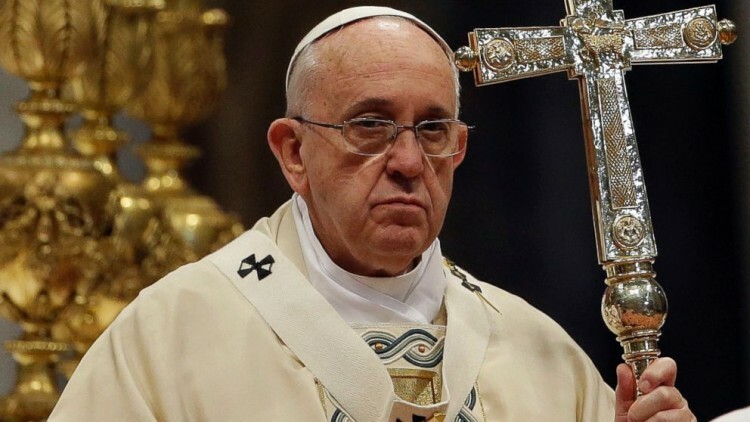 How can it be that this man, who much of the world looks upon as the pope, can equate the moral law to an instrument of death? Simple: As I’ve written in this space many times, he apparently does not truly believe in the Divinity of Jesus Christ. 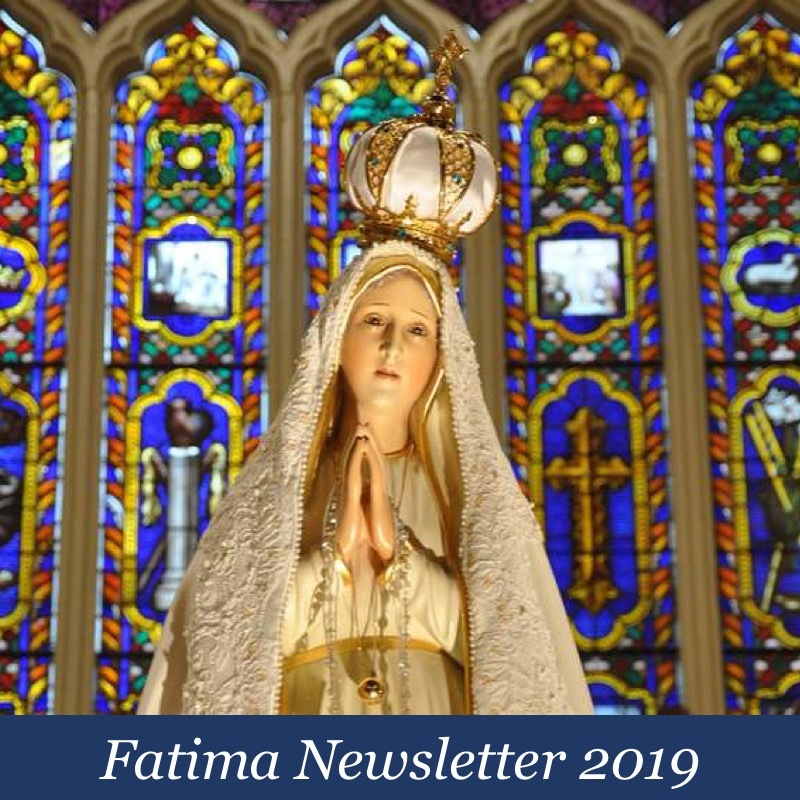 As the unforgettable words of Cardinal Pacelli attest, Our Lady of Fatima warned us that a time will come when the human element in the Church will be tempted to believe that man has become God – the corollary to which being that Jesus Christ is but a man. You see, if one has no doubt that Jesus Christ is God, and that He came from Above, then it is understood that Divine Law as expressed in the doctrines and practices of the Church that speaks in His name are not only liberating and life-giving; they are non–negotiable. Because we’re talking about the commandments of Christ the King! If, on the other hand, one harbors serious doubts as to the Divinity of Christ, then one is tempted to see the decrees of the Church that speak in His name as coming not so much from God but from a man. In which case, one may believe that they are subject to change at the hands of other mere men. Furthermore, if one believes that man has become God – and Francis has given us many reasons to believe that he does – then man is imagined to be on par with the divine, and so the Divine Law itself is subject to being rewritten by mere men according to the “concrete circumstances” of the present day. This is the Bergoglian program in a nutshell: It is an effort to rewrite the Divine Law. And we all know what rules are made for; at least until such time as they are rewritten. 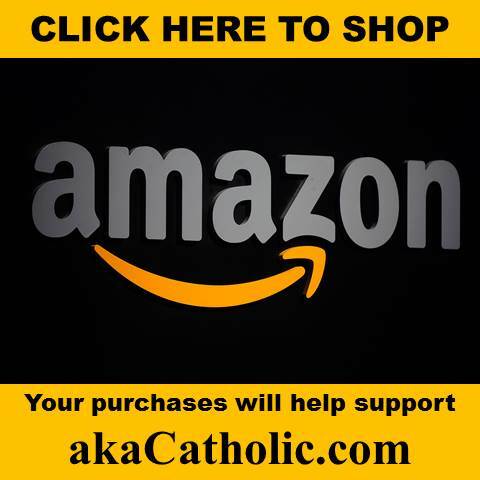 A pope lacking Catholicity? You bet. 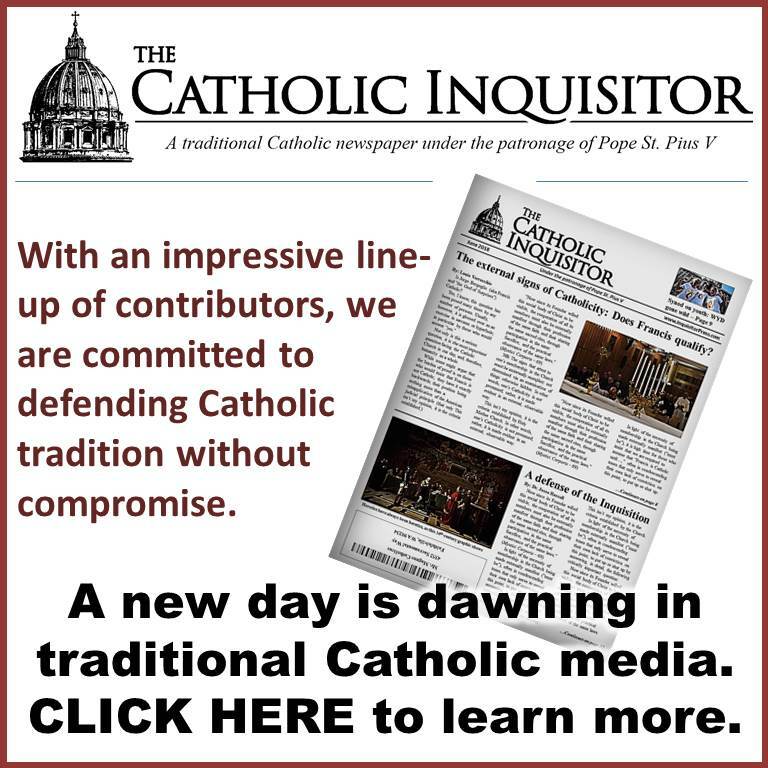 “Irregular situations” is what the Vatican is being bombarded by within through their own pederast sodomite clergy and prelates. He has to tone it down and skip the sinful reference OR more pew people will be clued into his own hypocrisy. Kinda like Harvey Weinstein starting to preach about moral purity and mercy. How many pederasts has Borgolio defrocked from sitting in high places? Zilch. And how many has he promoted or protected? 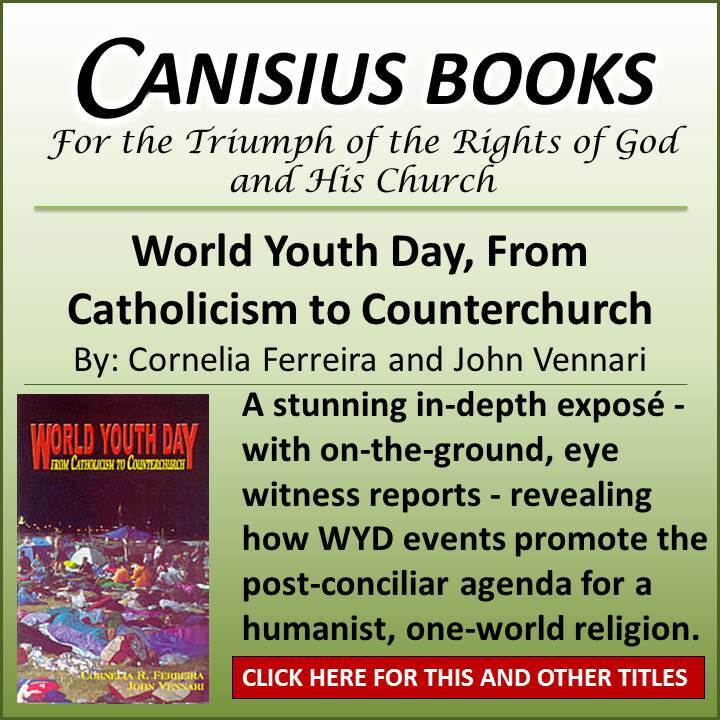 I pray that very soon Francis and his “team” will be converted to Catholicism. May God help us all on this holy Wednesday and throughout Holy week. And may the glory and wonder of the Resurrection reach into the hardest of hearts. Louie, the image you chose for this article is perfect. Look at his face, look at his eyes. What is he saying? “Man is God and I am their King”. Bergoglio Law is Divine Law in his sick mind. Anyone who goes along with it, is sicker than he is. A Blessed Holy Tuesday to all here. Sirach 19:21 Better is a man that hath less wisdom, and wanteth understanding, with the fear of God, than he that aboundeth in understanding, and transgresseth the law of the most High. 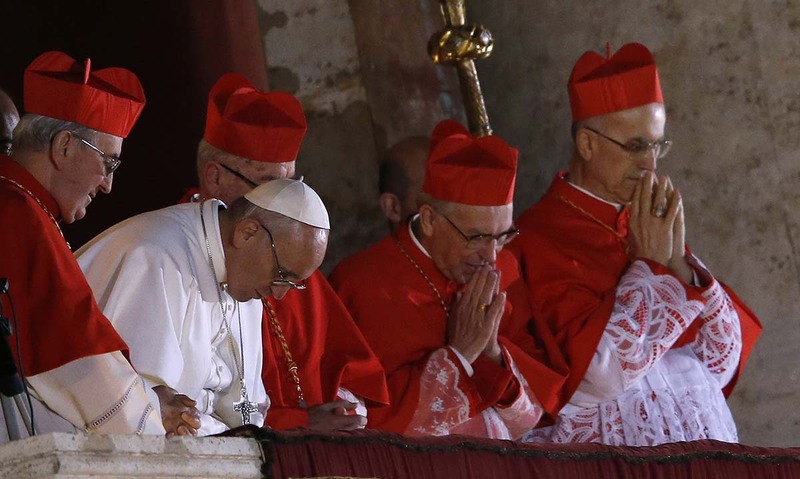 It is no wonder why Bergoglio does not ever kneel before the Holy Eucharist. He does not believe that the Holy Eucharist is the Living Christ. He is the destroyer that St. Francis predicted and we are watching him systematically destroy Christ’s Church. The time for dialogue and reasoning with this devil and his minions is long over. Bergolio acts and speaks as a man who does not believe in Divine Law. He is a modernist apostate who believes that even if there is a God, he exists soley to serve Man. He believes in a natural moral law, the source of which is some collective consensus of mankind. Bergoglio’s philosophy renders Dogma meaningless, and makes it powerless to the Modernist system. If we are unable to know immutable truth, then revealed scripture as well as tradition is moot. All religion is reduced to a relativistic experience. The essential thing here is that Modernists–deny the faith. Their Philosophy on its foundation denies knowledge, the supernatural order, the stability of truth, the principle of non-contradiction, and the fundamentals of common sense. The evil resulting from this confusion of knowledge and faith, is a destruction of the soul.